After long last, the Rabbits are back, this time in guidebook format. 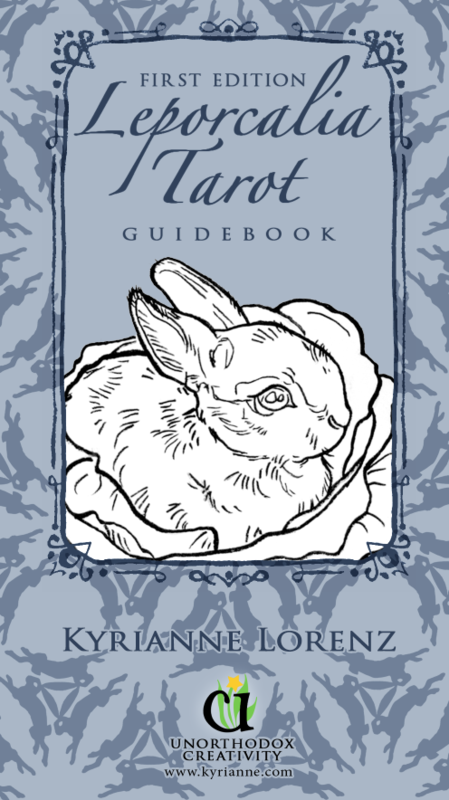 At just under 200 pages, the book will include full-page reproductions of each card artwork paired with an explanation of its symbolism and various interpretations, and some rabbity spreads to get you started reading Tarot. All current owners of the first edition deck will receive a pdf copy free of charge and the option to purchase the paperback for $10 – retail price will be $18. Take a sneak peek inside the book here. Coming Summer 2017! Stay tuned for an official release date! http://kyrianne.com/wp-content/uploads/2017/02/Screen-Shot-2017-02-22-at-9.03.20-PM.png 327 352 kyrianne http://kyrianne.com/wp-content/uploads/2016/09/kyrianne-logo.png kyrianne2017-02-23 02:11:062017-02-23 02:47:04Here There Be Rabbits!